China.org.cn reviews the 10 movies that made the biggest impacts on the Chinese film industry in the past lunar year which ended in February 2010. James Cameron claimed his "King of the World" crown again 13 years since Titanic. His 3-D sci-fi epic, "Avatar," was the most anticipated movie around the world in 2009, even though it opened Jan. 4, 2010, in China. Since then, "Avatar" has been smashing every record. It became the fastest-grossing film in China, hauling in more than 1.2 billion yuan (US$175 million) and making China one of the biggest overseas markets for the movie, which has earned US$2.5 billion worldwide. 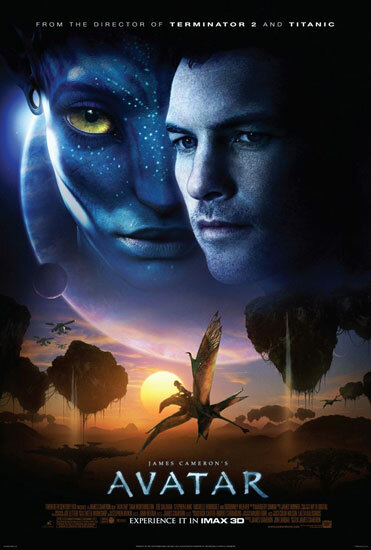 "Avatar" revolves around a paraplegic war veteran, Jake Sully, who takes the chance to live a different life in his brother's avatar body on the planet Pandora with the native Na'vi people. After learning their lifestyle and culture, Jake comes to admire the beautiful planet and falls in love with the daughter of the head of a Na'vi tribe. He fights against his own race and military to preserve the culture, environment and harmony of Pandora. The movie relies heavily on the most advanced CGI and 3-D technologies, some of which were developed by James Cameron's own team for several years. The story is a little old-school, but the movie experience is so stunning and dazzling that you can't help but enjoy the movie. Rather than flaming panic, "Avatar" is reflective and hopeful and carries a theme of environmental protection, which resonated with global audiences. But the Chinese saw more beyond that – first, a famous mountain in Zhangjiajie was renamed Hallelujah Mountain for the tourism potential brought by the movie, and then some angry residents used the movie poster to protest against forced eviction.